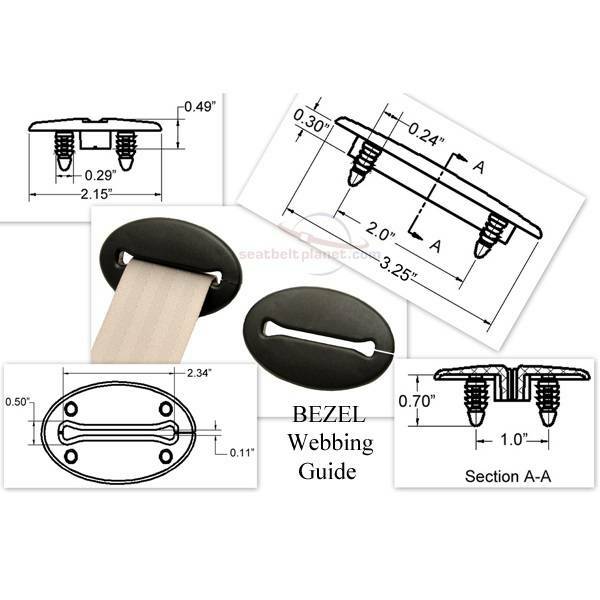 This unique engineered plastic webbing guide has many different uses. Use where seat belts need to flow through areas that may fray webbing. A popular application to install bezels on rear window deck when retractable lap/shoulder seat belts are installed in the trunk area.